Gums that appear to be pulling away from teeth or that are red, swollen and bleeding may be suffering from periodontal disease. Periodontal disease is an infection caused by the bacteria that inhabit plaque, a colorless, sticky film that develops on teeth and must be regularly removed through brushing and flossing. The earliest stage of gum disease, gingivitis, is highly treatable, often through a deep dental cleaning and improved dental hygiene habits at home. However, later forms of the disease may require periodontal surgery to stabilize gum health and prevent tooth loss. 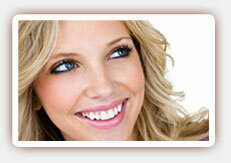 Gum disease has been linked with numerous health conditions, including breast cancer. A study recently published in “Breast Cancer Research & Treatment” documented the gum health of more than 3,000 young women. The women who had lost teeth due to chronic gum disease were two times more likely to be diagnosed with breast cancer than women who had healthy teeth and gums. The increased risk remained even when breast cancer risks had been taken into account. Some experts have theorized that the bacteria associated with gum disease enter the bloodstream, and the subsequent inflammatory response stimulates the formation of cancer cells. Gum disease has previously been linked to stroke, heart attack, diabetes, Alzeheimer’s disease and pregnancy complications. You can reduce your risk of gum disease by brushing your teeth twice daily, flossing them once a day, and seeing our dentist twice a year or as recommended. 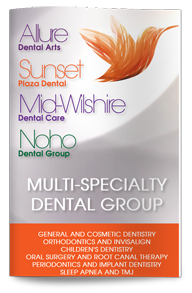 If you notice any signs of gum disease, contact our West Hollywood dentist for a comprehensive evaluation.